The all in one follow spot solution! The all in one follow spot solution! 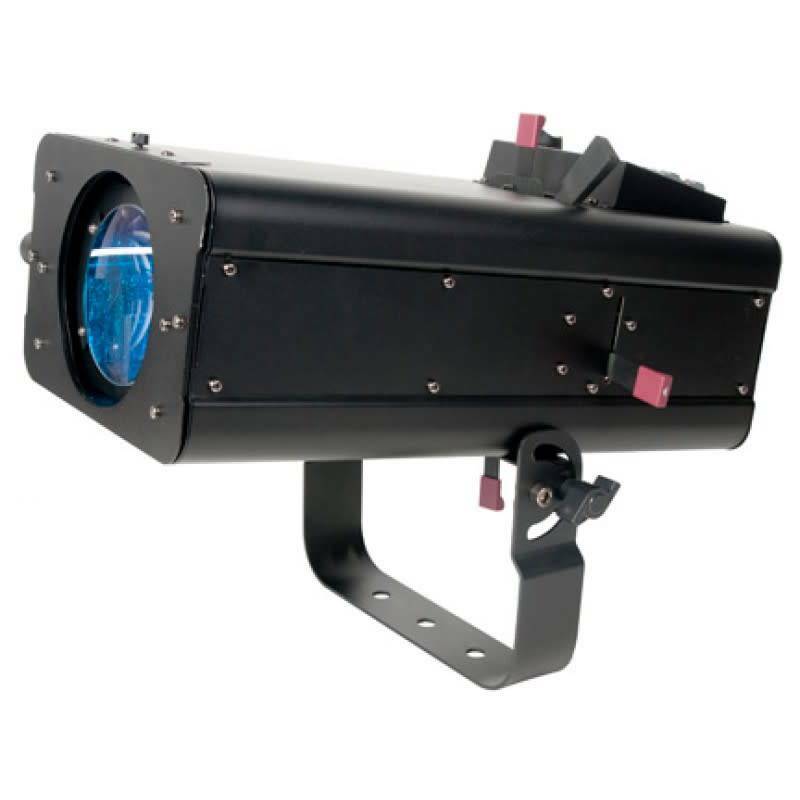 A must have for stages and theater. 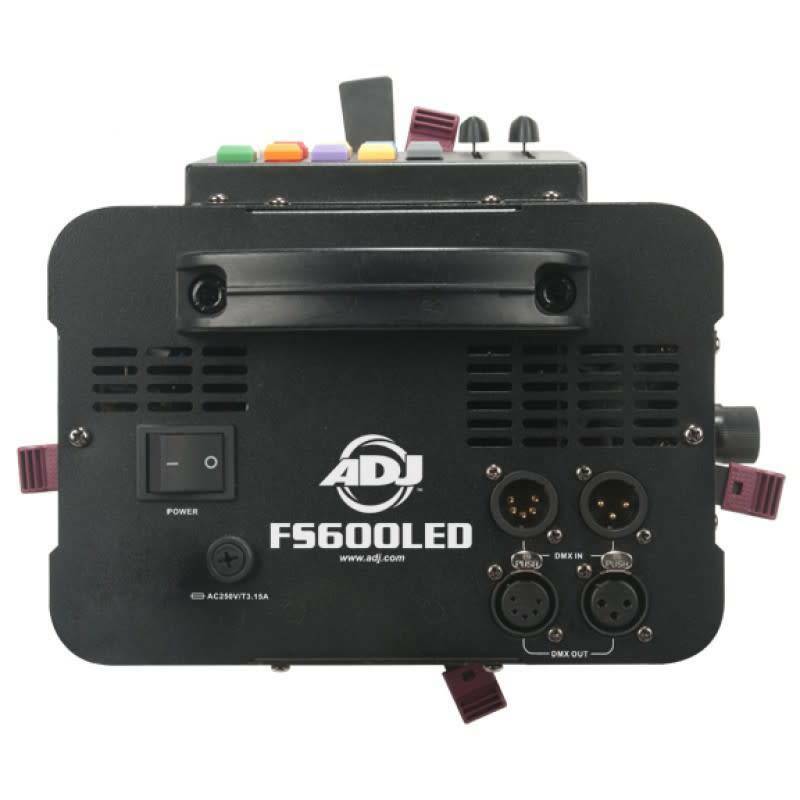 Powerful and efficient, the American DJ FS-1000 gives you performance that a much more expensive unit can provide while running a lot cooler, thanks to the 575 watt halogen lamp. Using a specially designed reflector, it produces just about what something twice its power (and heat) does. Great choice for clubs, stages, and theater. 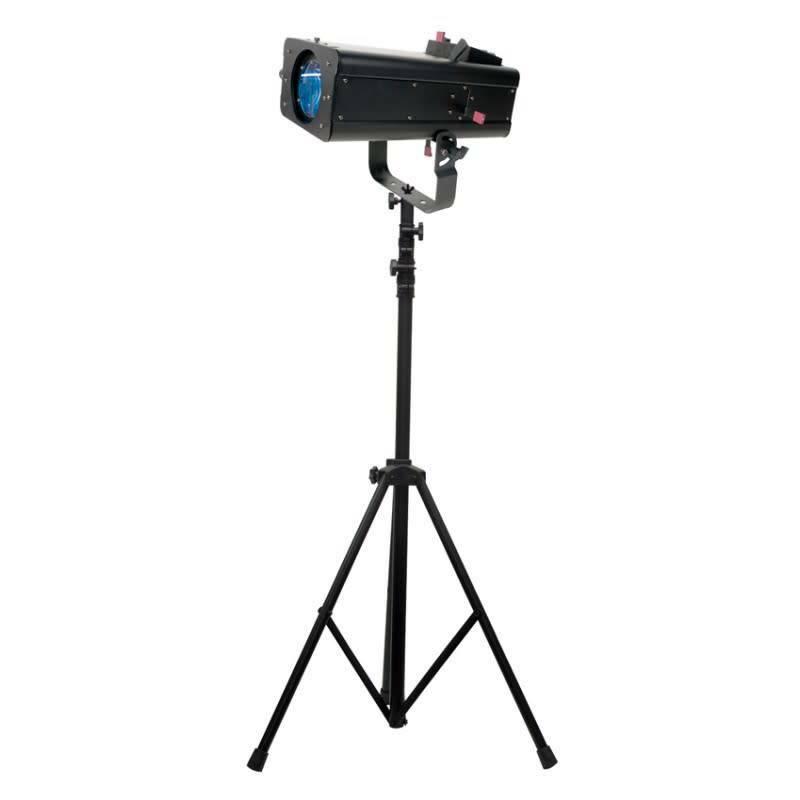 Includes LTS-6 tripod stand. • Dimensions: 9" x 9" x 21"